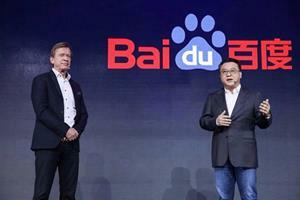 BEIJING, Nov. 01, 2018 (GLOBE NEWSWIRE) -- Baidu, Inc. (NASDAQ: BIDU) and Volvo Cars today announced a strategic partnership to jointly develop Level 4 autonomous driving passenger cars for the Chinese market with the goal of mass production. Håkan Samuelsson, president and chief executive of Volvo Cars, shook hands with Dr. Ya-Qin Zhang, President of Baidu on the stage of Baidu World 2018 in Beijing. 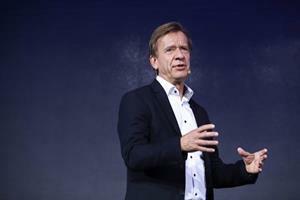 Håkan Samuelsson, president and chief executive of Volvo Cars, talked on the stage of Baidu World 2018. Håkan Samuelsson, president and chief executive of Volvo Cars, had a dialogue with Dr. Ya-Qin Zhang, President of Baidu on the stage at Baidu World 2018 in Beijing. Selected as a partner because of its long-standing safety credentials, Volvo Cars is the first foreign car makers collaborating deeply with Baidu on the development of L4 autonomous driving cars. The partnership with Baidu is Volvo´s first in China to jointly develop autonomous vehicles. The aim of the strategic collaboration is to achieve mass production of the L4 autonomous cars over the next few years. The agreement marks a starting point for the two companies from which they will explore commercialization opportunities in China’s autonomous driving passenger car market in the coming years. The leading Chinese tech company and Swedish automaker seek to develop new standards for smart car safety and to drive a new revolution in the automotive industry with an innovative approach. Under this collaboration, Baidu will empower Volvo with the capabilities of Apollo, Baidu’s autonomous driving platform, while Volvo will provide access to its expertise and advanced technologies of the automotive industry. “Since its founding a century ago, Volvo has maintained safety as its core mission, pushing safety development forward with significant innovations. We are delighted that Volvo Cars has established a strategic partnership with Baidu towards the development of a Level-4 car compatible with our open autonomous driving platform, Apollo. We look forward to working closely with Volvo to provide the world with the safest auto products for the benefit of humankind,” said Dr. Ya-Qin Zhang, President of Baidu. Baidu has been developing autonomous driving technology since 2013. With its reliable autonomous driving power and leading AI technology, Baidu continues to expand Apollo’s leadership globally. Building autonomous cars is only the first step. For intelligent vehicles to travel freely and safely, intelligent roads and infrastructure are required. By the end of 2018, Baidu’s Apollo Intelligent Vehicle Infrastructure Cooperative Systems (IVICS) will leverage Apollo’s capabilities in autonomous driving to bring together intelligent vehicles and infrastructure, an important step towards developing future intelligent transportation.